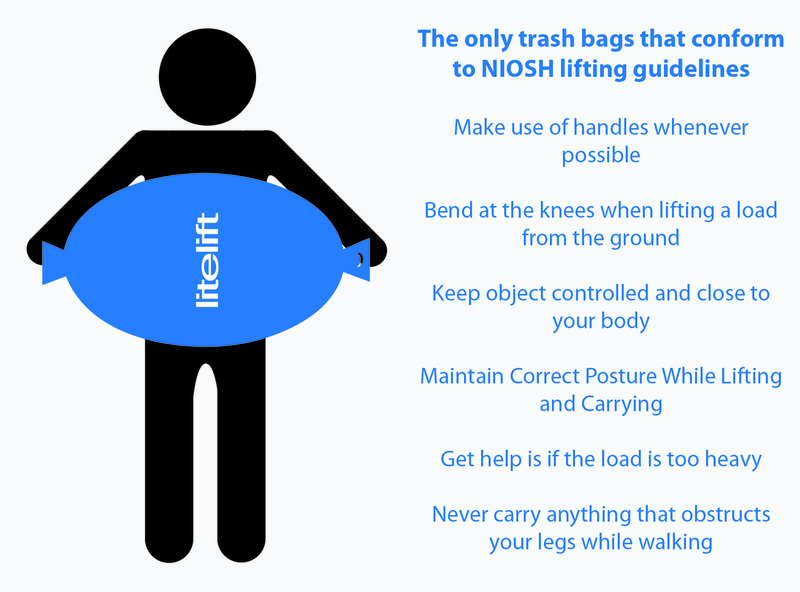 litelift ergonomic trash bags were designed to improve safety and comfort during lifting & carrying. 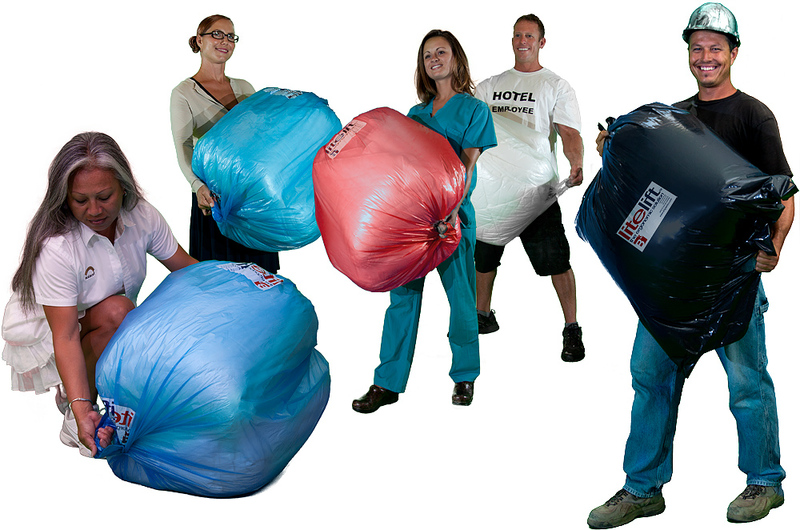 The litelift trash bag has an intergrated handle on the bottom of the bag, so workers can hold the bag at each end. This allows for 50% weight distribution and reduces risk of injury. 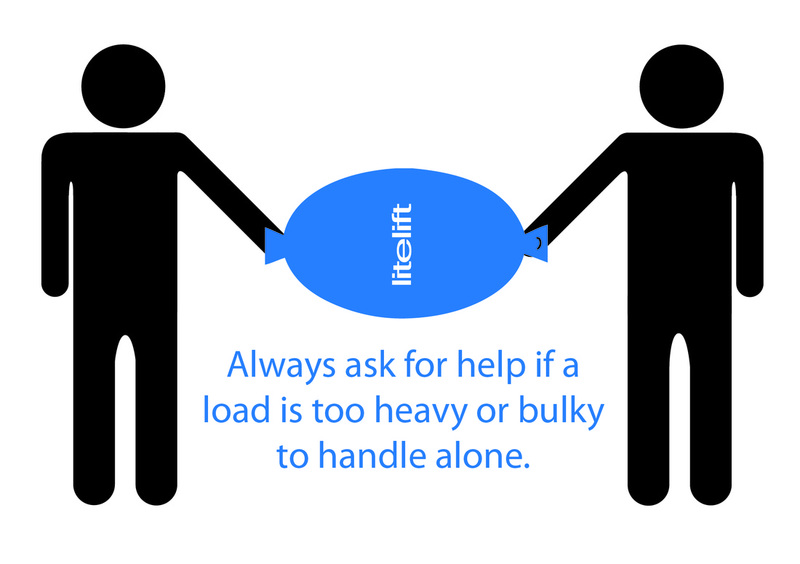 click here to get your litelift bags on amazon. 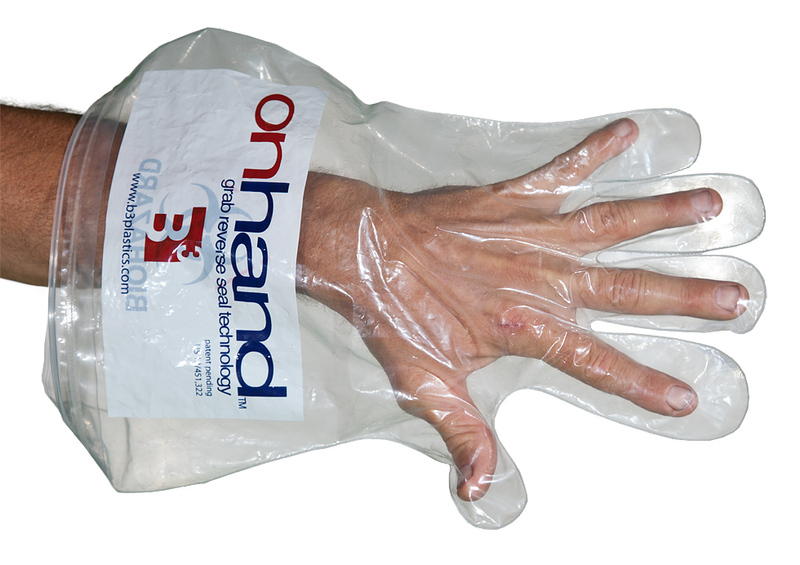 Onhand is a combination of 2 common household products, the glove and the resealable plastic bag. The hand shape allows for much greater collecting ability while the resealable zipper creates a smell free and leak free container. 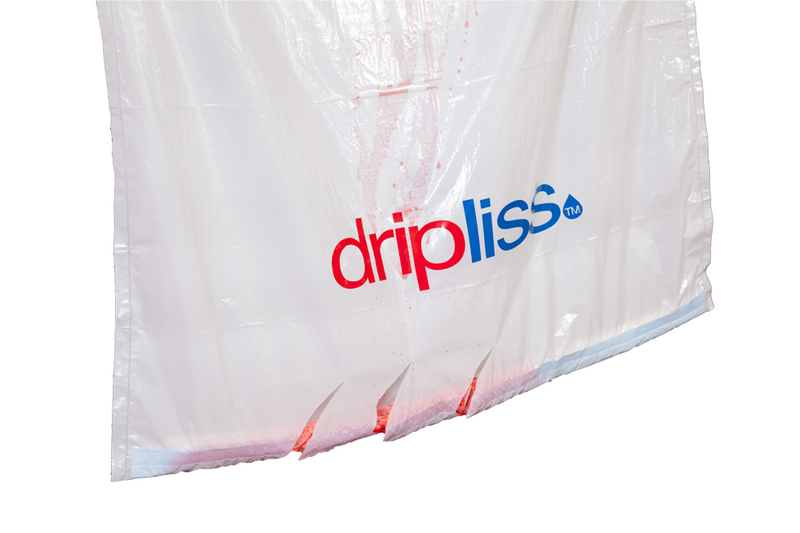 The dripliss trash bag has an integrated absorbant strip that collects liquids and prevents them from leaking. We poured 2 ounces of liquid into this bag pictured above and even after three massive cuts to the bottom, not a single drop leaked.